These sweet patchwork hearts are made by Lisa and Sarah at A Spoon Full Of Sugar. They make a very cute Tilda heart of the home mini quilt. 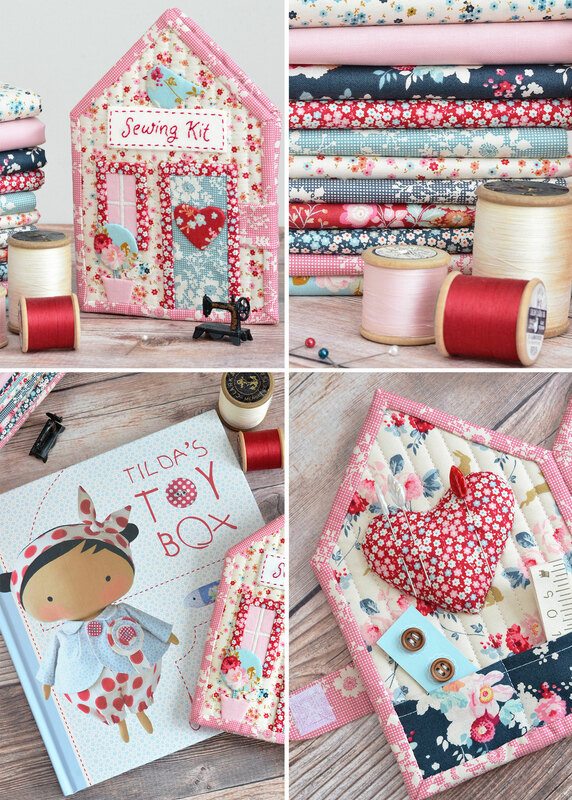 Sedef from Down Grapevine Lane has recreated the Sewing Kit House from the book Tilda’s Toy Box in this seasons new fabric collections Cabbage Rose and Memory Lane. Very pretty! 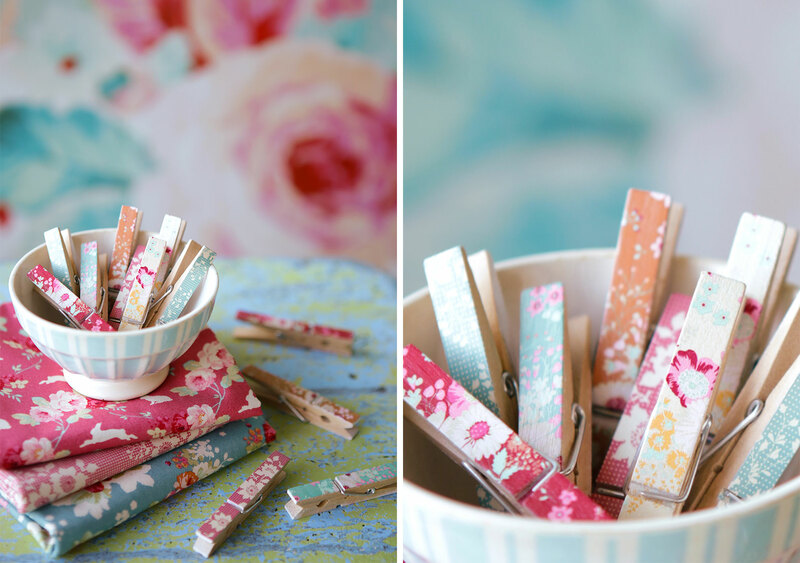 If you love sweet projects and colorful palettes go and check out her blog! 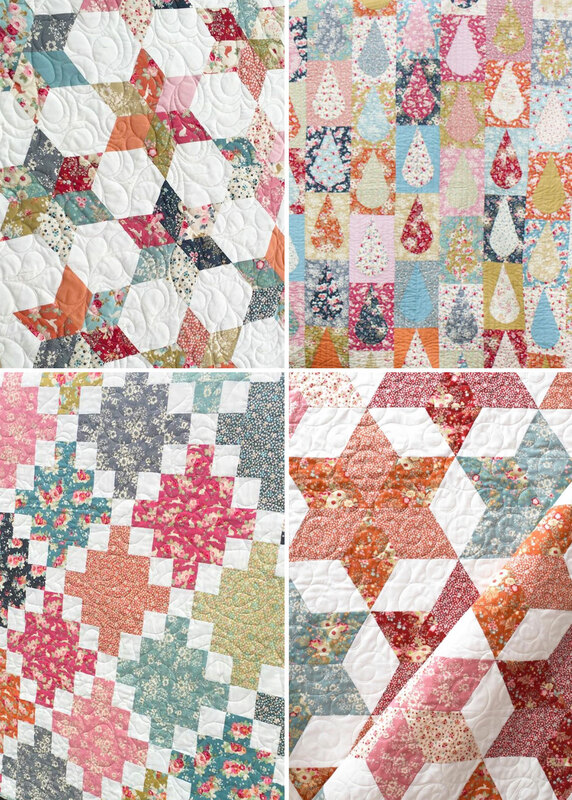 Tilda Australia used two of our free quilt patterns to make fresh new quilts with the new autumn fabrics. The retro inspired Spring Diaries Quilt and the Pardon My Garden diamond Quilt. 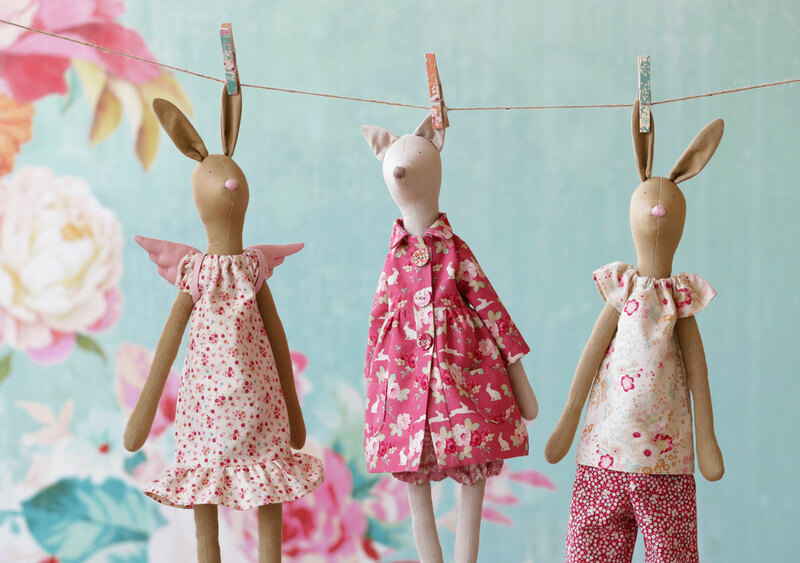 They really look great in Cabbage Rose and Memory Lane fabrics! 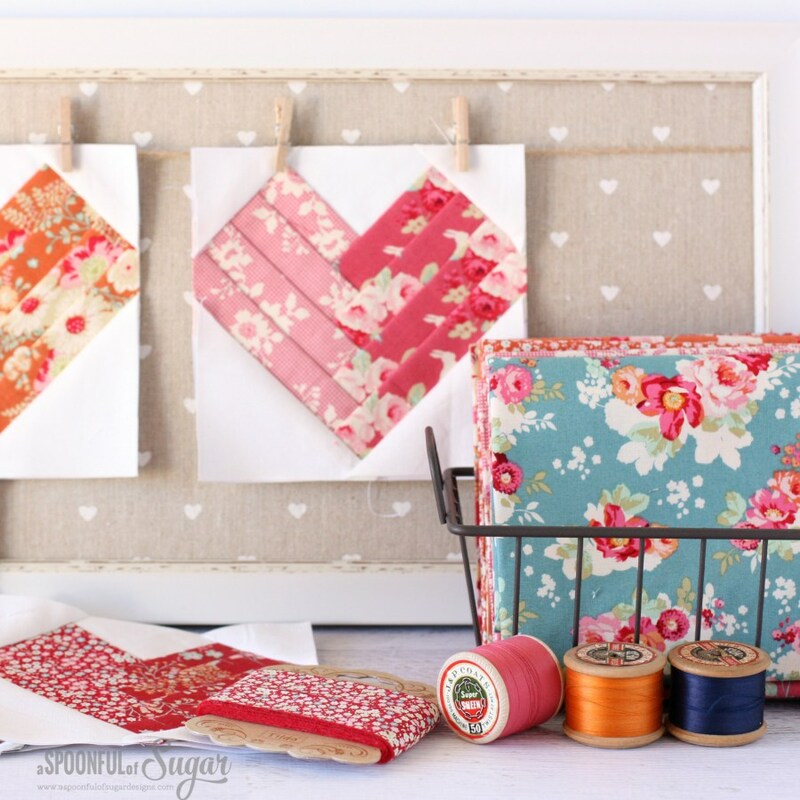 More amazing quilt inspiration with new Tilda fabrics in this collage of details from quilts by: Stitch Between The Bridges, Cole & Taffy, My Georgie Boy and She Quilts A Lot. This seasons new decorative floral clothespins are useful for more than hanging the wash. 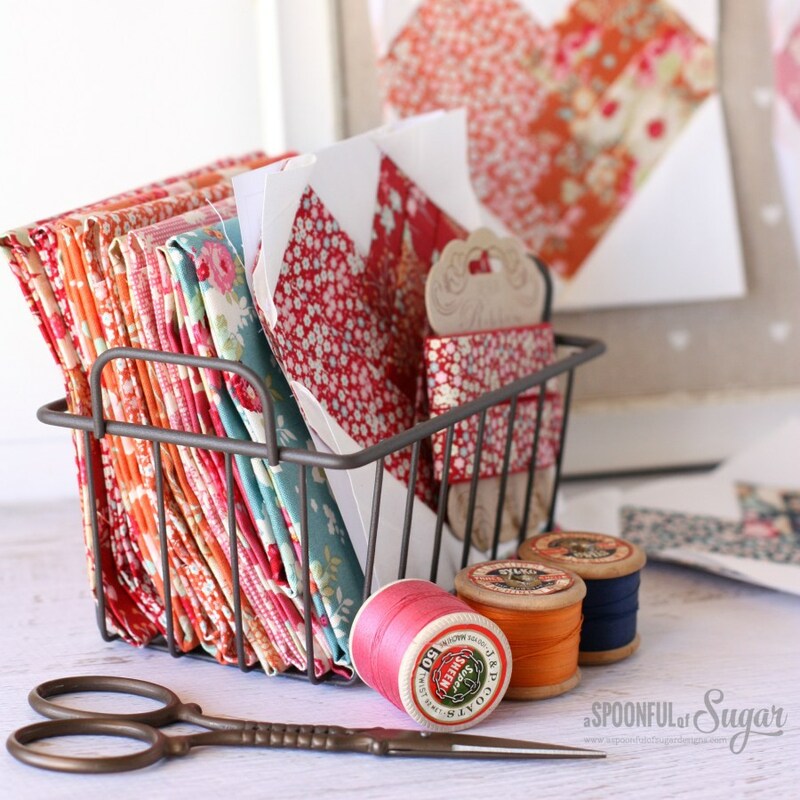 Here at the studio we use them for hanging cards, fabric and ribbon samples, scraps and what ever inspire us. They are also useful for Christmas calendar bags, or for hanging dolls by the ears. We love the vintage floral look. 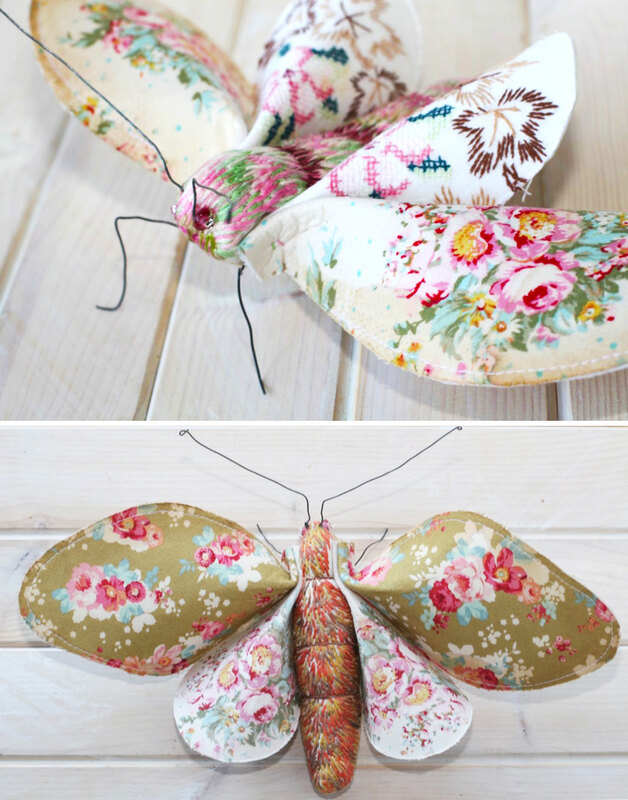 Our talented friend Sanch who runs Red Brolly was inspired by Peach Blossom Moths to make a gorgeous quilt and absolutely wonderful fabric Moths. We love the moths and would like a turquoise wall full of fabric moths in all sizes if we had the free space. This is just a wonderful gift for everyone who follows Red Brolly. 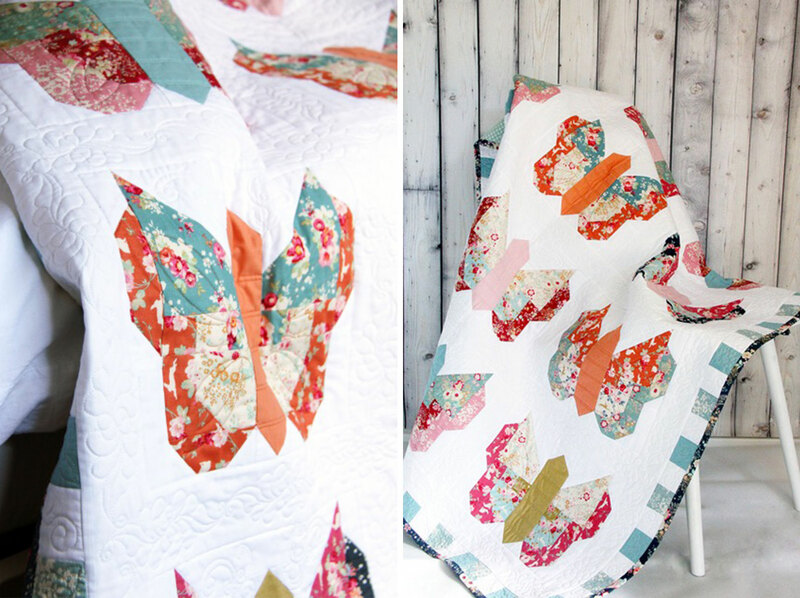 And how beautiful is this Peach Blossom Moth Quilt! Sanch combined the two fabric lines Cabbage Rose and Memory Lane beautifully. Visit Red Brolly to get inspired! The quilt is one of the projects for The Tilda Showcase organized by our wonderful Australian whole seller Two Green Zebras. Follow the showcase here to see new exiting projects every day.